Once upon a time, March 31st used to mean year-end sales push with everyone running around, heaps of energy, effort and much more! While I no longer have such direct business pressures, I do still need to do the accounting books so did a little whisky cabinet spring cleaning to pull out a few older oxidation bottles to have on hand for a late evening post numbers wind down. Great plan… til a cold happened. And I never waste good whisky on a stuffed up nose!! 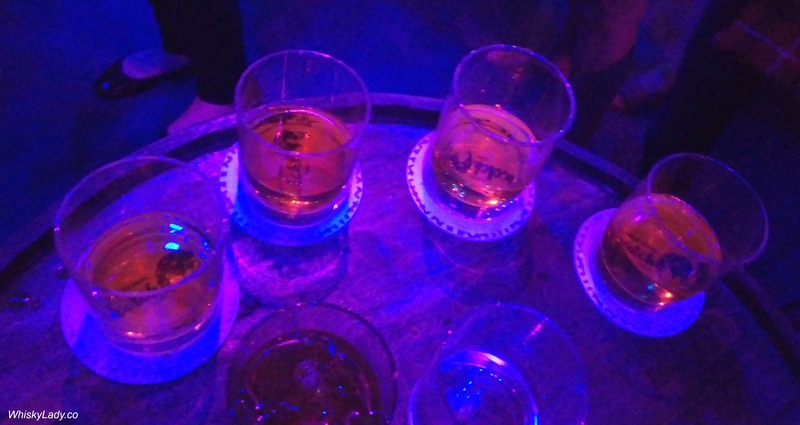 So instead, my March round-up will not feature my hidden gems, instead share that it did bring some merriment and mischief with a trip to Jakarta and Singapore – including a nip into The Single Cask and La Maison du Whisky. 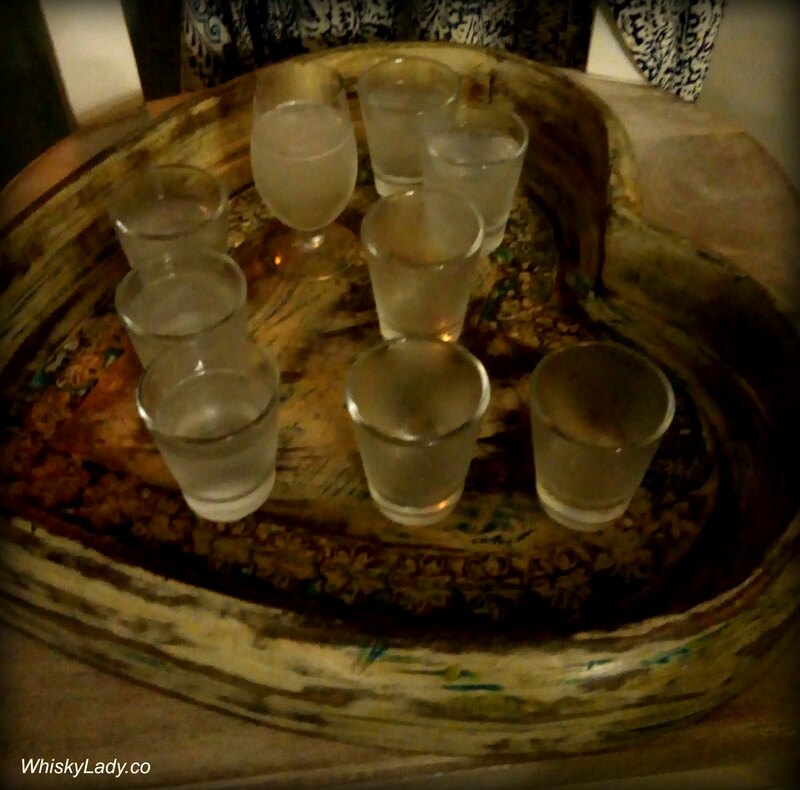 Whisky Lady in India is all about exploring the world of whisky, one dram at a time, with friends and solo adventures too. However there are reasons rules should be broken every once and a while to spice things up. 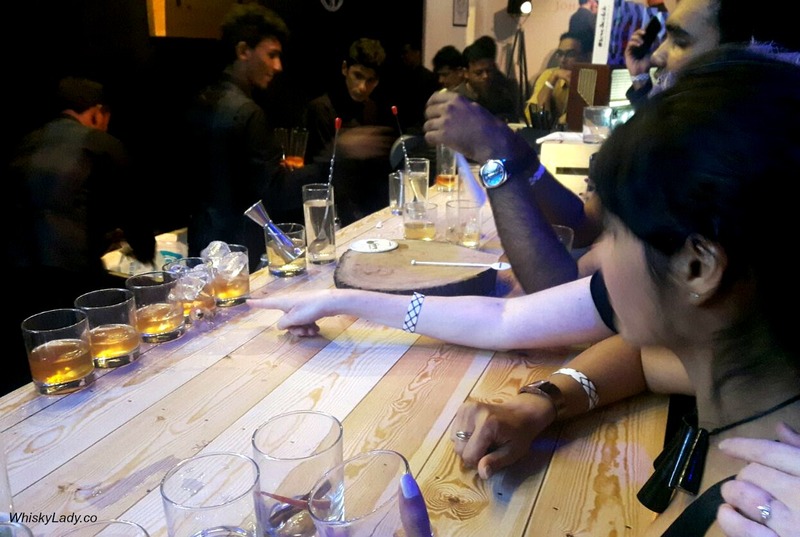 And that’s exactly what the Whisky Ladies of Mumbai decided to do one February Sunday. 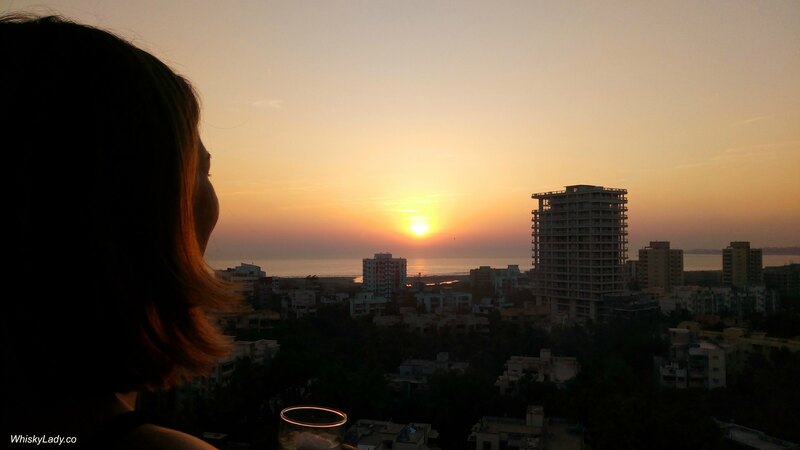 The venue was perfect… a desultory sunset overlooking the Arabian sea. Reminds of Indian salami or… don’t laugh one even said Axe body spray! Naturally our evening progressed from sampling to a sociable rather tasty Gin & Tonic made with the 3rd gin which worked perfectly! 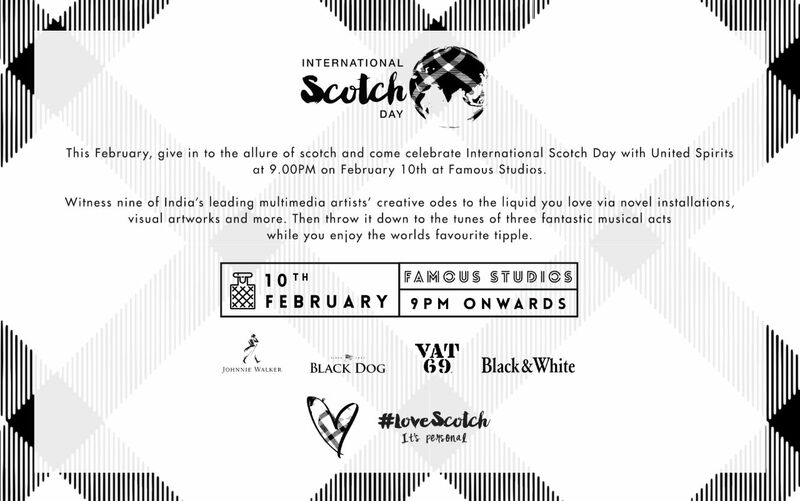 And that is how we found ourselves at Diageo’s International Scotch Day… Yet given what we assumed would be the whiskies on offer, our interest was more the multimedia artist’s ‘odes’ to the water of life, live music and good company. Just peruse some of our Tasting Sessions or Ladies Corner and it easy to see we are an adventuresome bunch, exploring a wide range of whiskies sharing frank, fun and sometimes brutally honest opinions about what we sample. Which means the bar is set pretty high to impress these ladies. 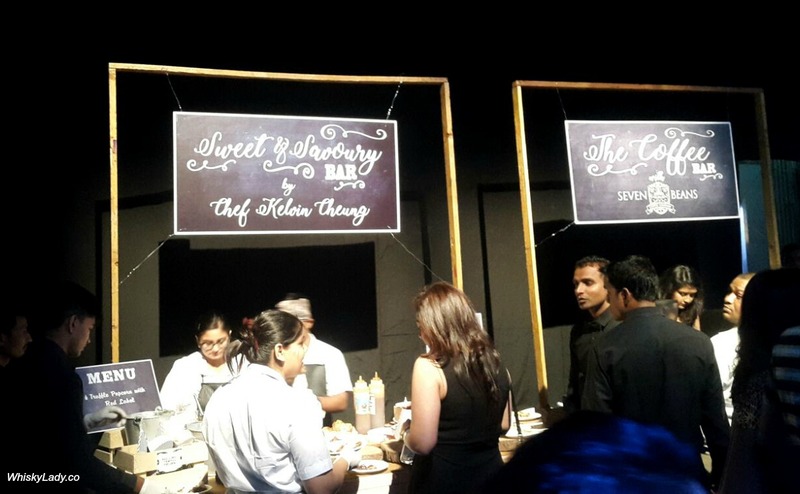 We strolled in, traipsing after actress Freida Pinto and headed straight for the bar. 1st you.. then you.. like this not that! Cocktails was clearly the way to go! However the “Old Fashioned” approach also didn’t make the “cut” either so one Whisky Lady took charge telling the poor beleaguered bartender how to go about it! 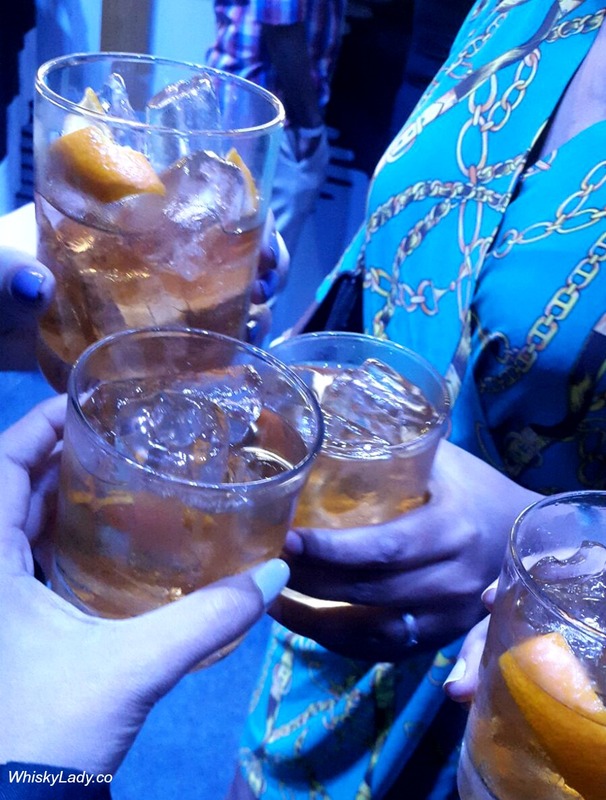 Getting an Old Fashioned right? The food? From a fabulous chef yet with pairings that seemed a tad random and mostly got quizzical curious reactions. And the Art? “Not so finely disguised advertising” was one comment, however it was fun playing around with the “Black & White” exhibit. 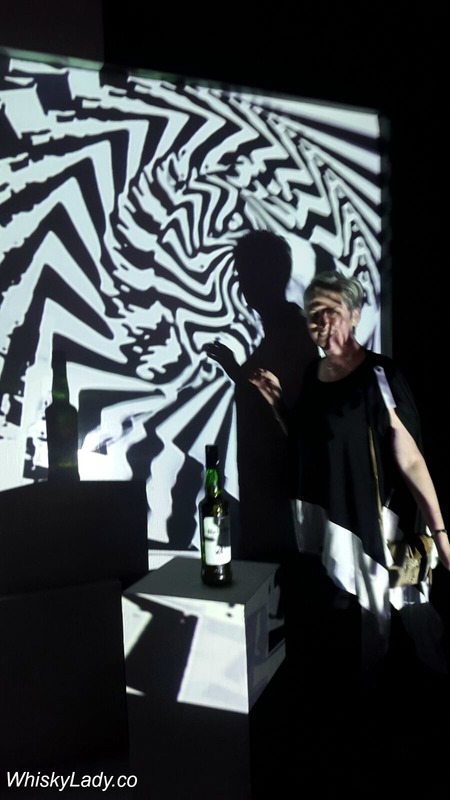 Black + White Whisky Lady? Lest we seem like complete ingrates, what finely pleased these picky ladies? Oh the music, merriment and mischief we caused!! In the end, we had a mighty fine evening! 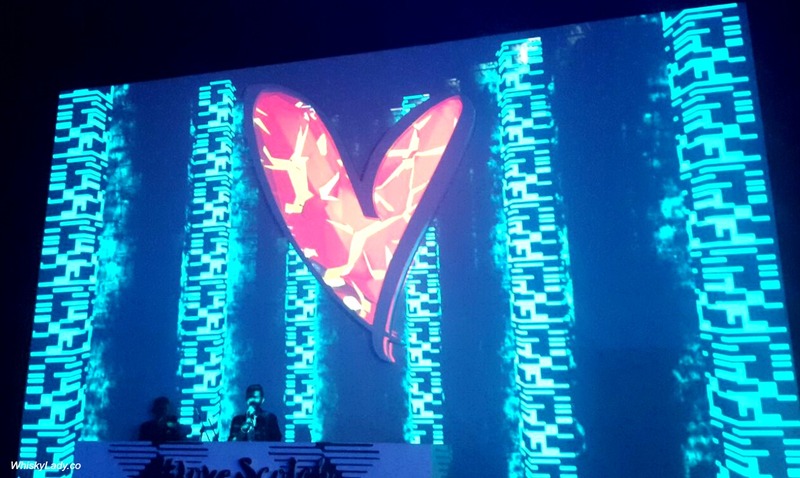 PS – It was interesting to read the somewhat “random” quality we found was echoed in other cities.. There are times when we sip, dissect our impressions, discuss and then look at the official whisky tasting notes and simply scratch our heads in puzzlement. Now before you think this is only because of overly creative marketing speak, there is another element in the equation that needs to be considered. Which does indeed have an impact on your whisky tasting experience. Hence why the standard way of serving in India is “on the rocks” with generous number of ice cubes. But that can “shock” a whisky and for some, it is a complete sacrilege! In the other glass, pour your preferred whisky – neat! What a clever idea Sir-ji! You seriously spit out whisky? 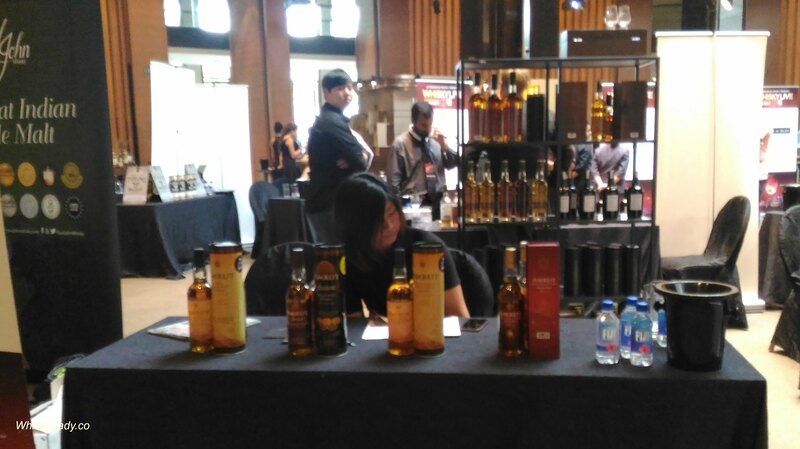 Whisky Live Singapore had many wonderful highlights! Some terrific discoveries, great opportunities to revisit familiar whiskies in a distillery progression, chance to meet some wonderful new folks part of the whisky fabric, passionate about the art and craft of producing quality whiskies for our enjoyment. However there were some disappointments. 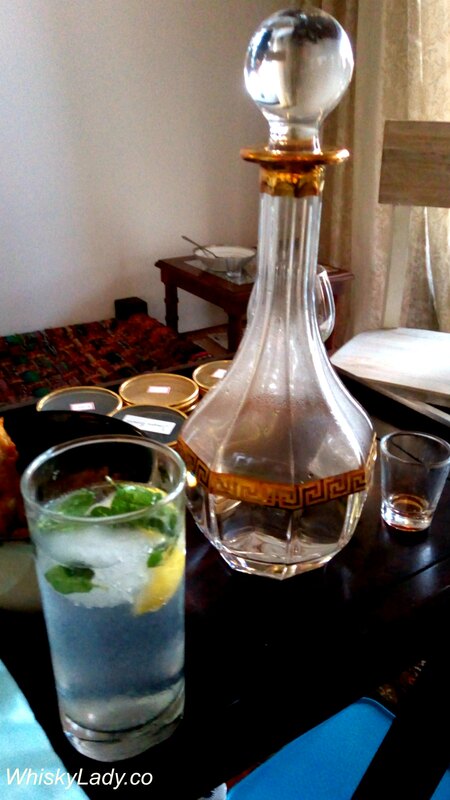 Alas Amrut was one. Let me be clear – I’m delighted Amrut have grabbed global attention and put India on the whisky map. 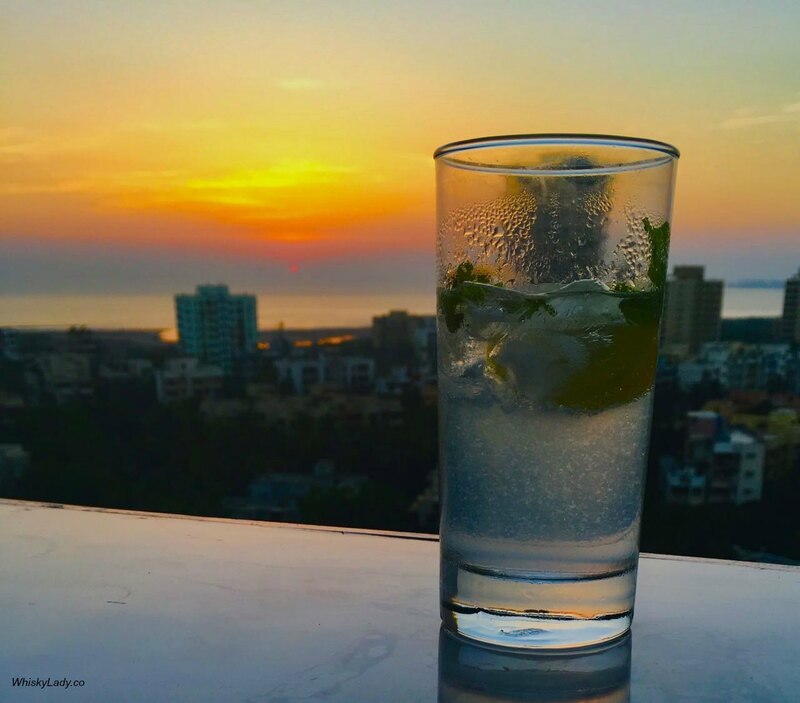 Heck this blogs all time top ‘hits’ whisky post is about – believe it or not – Amrut’s MaQintosh whisky! However my direct personal experiences have largely been wanting. The evening with Jim Murray was rather mixed. The lack of access in India to their niche releases garnering international attention is frustrating. Only in Singapore did I have a chance to try the Fusion 50% and admit – yes it is better than what we’ve tried in India. Even the unique Spectrum which, while very interesting, isn’t my kind of whisky. Only recently courtesy of Malt Maniac Krishna Nakula did I finally meet an Amrut whisky that I genuinely was impressed with… and it was a sample from a limited edition, only for the Taiwan market whisky. 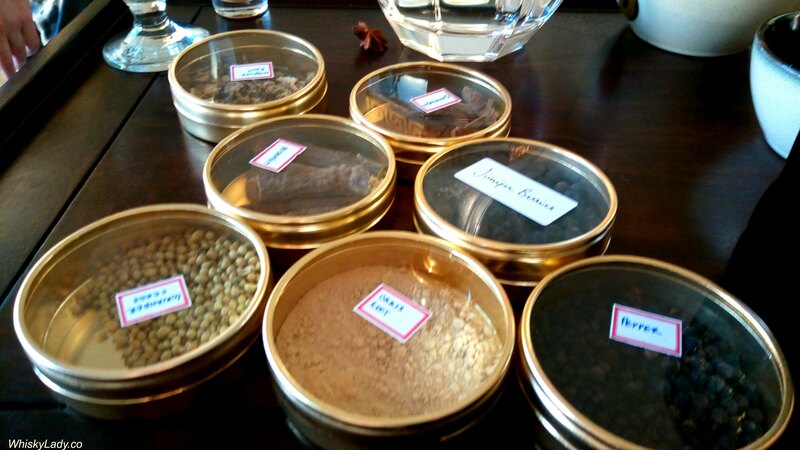 Seeing Amrut was part of Whisky Live Singapore, I hoped for something special to make its way to the event. A chance to finally properly see more of what is getting the whisky world excited. The entire two days of the event their booth was mostly empty, the people staffing it seemed completely bored and totally disinterested in being there. One had to wonder – really – what a missed opportunity! Our Whisky Ladies evening closed with a Kentucky bourbon and chocolate – how fitting! This was a completely unplanned enthusiastic “I just so happen to have this great bourbon!” addition to our tasting! The folks over at Willett (aka Kentucky Bourbon Distillers) claim a family history that harkens back to John David Willett (born in 1841) who was part of the master distiller for the Moore, Willett & Frenke Distillery. However, truth be told, these folks have actually only recently re-entered the distilling game in 2012, having stopped operations in the 1980s. It is speculated that this particular whisky may actually be a product of Heaven Hill Distilleries – the folks that produce Elijah Craig amongst many others – using copper stills with only a pot still used for the doubler stage. Confused much? This was a bourbon that cried out for a cube of ice! When added? Voila! Lots of bright floral elements – overall just made it fab, Fab, FAB!! 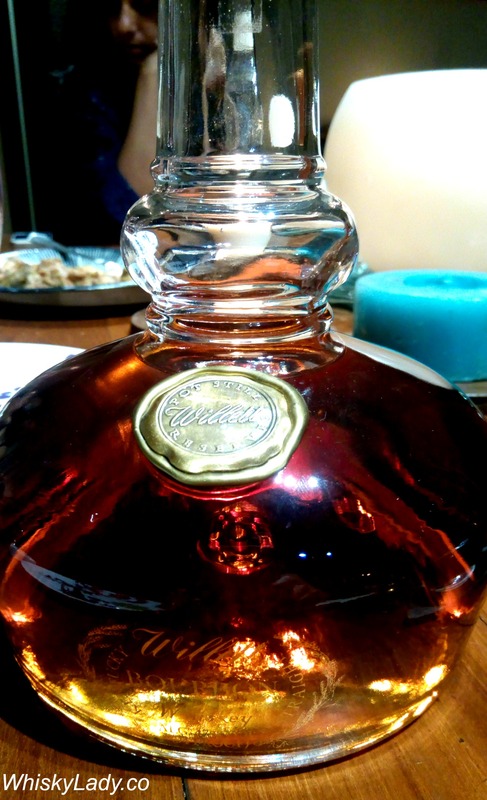 And what do the Willett folks have to say about this whiskey? What else did we sample that “risky whisky” evening? 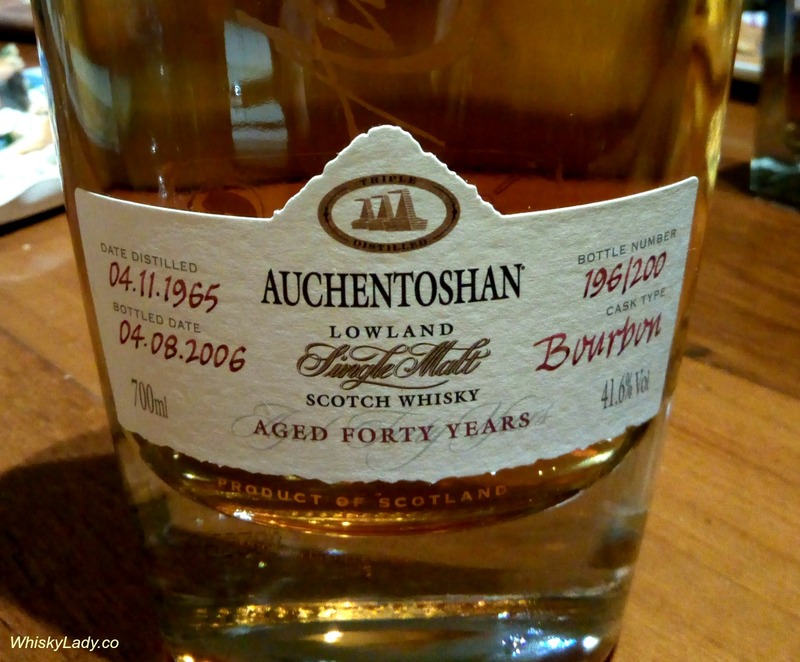 After our untraditional ‘risky whisky?‘ trio of lesser known whiskies from France (Brenne & AWA Pinot Noire) and the US (Virgil Kaine), we turned to a very traditional Lowland… and no young thing either… a mature 40 year old Auchentoshan no less! 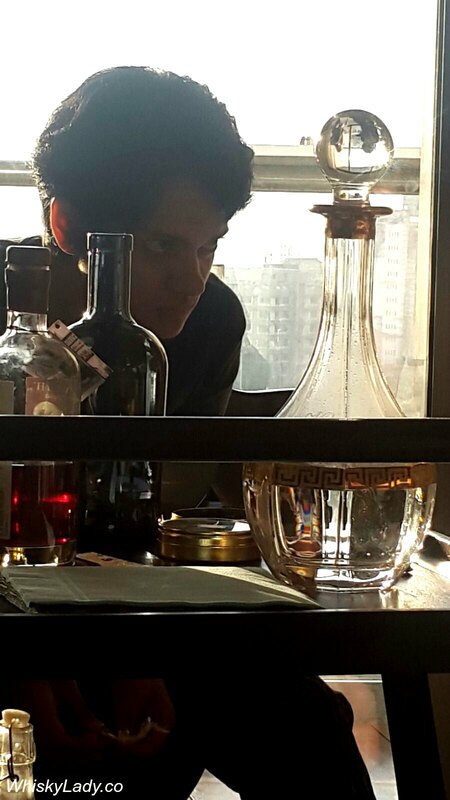 And why such a rare aged whisky magically appearing in our Whisky Ladies of Mumbai midst? 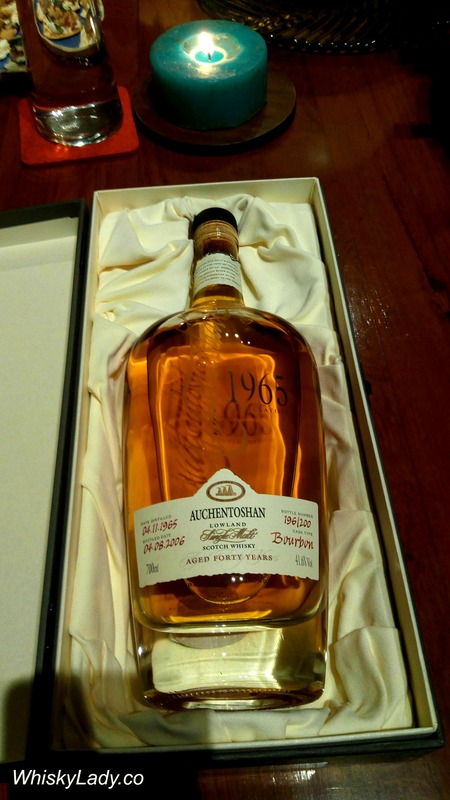 It was all thanks to a Whisky Ladies’ birthday… 40th birthday… from an uncle who knows nothing would be more appropriate than giving the birthday lass a venerable 40 year old whisky! And generous soul that she is, our birthday Whisky Lady both hosted the evening and shared her special gift! Such an easy drinking whisky… most of all the descriptions “elegant” and “mellow” are most apt! In the Glencairn vs Norlan glass experience, the Norlan gave a totally different finish – very spicy and more ‘alcohol’. Definitely one to have in the Glencairn! What is also interesting is this is apparently matured only in a bourbon cask yet had some of the soft sweetness one associates with sherry finish. Rich, old gold in colour, the nose is a delicious combination of sweet vanilla, delicate lemon and orange citrus notes, a touch of almonds and a light, leafy freshness. The palate is clean and zesty but is beautifully complemented by hints of vanilla and a touch of raisins. The finish is soft and mild. Our trio of potentially ‘risky whisky‘ closed with a shift from old world France to new world US of A – with a “low country” whiskey from Charleston, South Carolina! Virgil Kaine was started by two chefs – David Szlam and Ryan Meany. 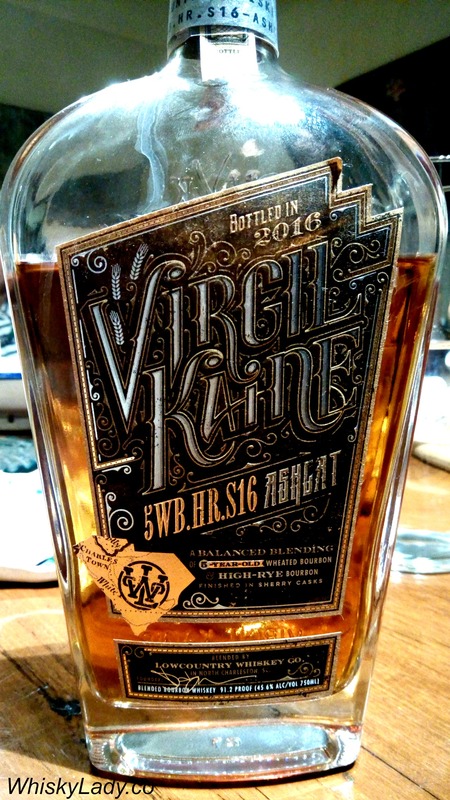 The idea behind Virgil Kaine was to draw on culinary “know-how” to blend, infuse and tinker in order to craft whiskeys like a ginger-infused bourbon, a ‘high-rye’ bourbon blend and a ‘robber baron’ rye… and more recently their limited edition “Ashcat” which is what we sampled. This was no single malt, definitely a bourbon, yet we appreciated that it had other elements too. 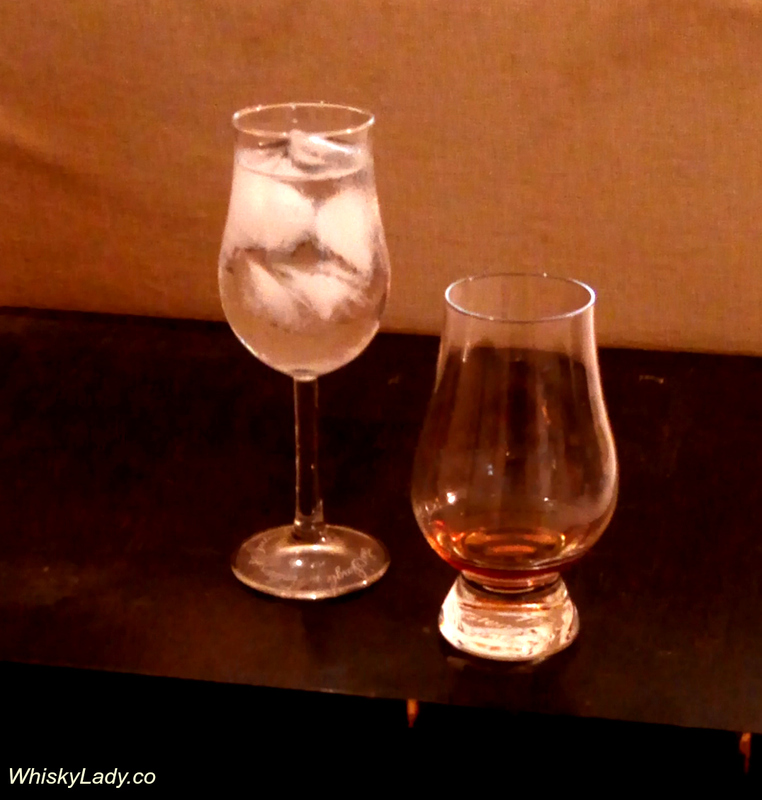 In our Glencairn vs Norlan glass comparison, we found the Norlan brought out much more raisins, dark heavy honey on the nose and made it much more rounded on the palate, pumping up the slightly bitter quality. Virgil Kaine’s first detour from our three original whiskeys. A limited edition that strikes a balanced blend between the sweetness of a wheated bourbon, the spice of High-Rye bourbon and tannins derived from sherry casks. Which is all just a fancy way of saying we created a great tasting bourbon we hope you love as much as we loved making it. Savor this one. When it’s gone, it’s gone. Next up in our risky whisky evening was another offering from France – this time the Authentique Whisky Alsacien (AWA) Pinot Noire. The whisky lady who brought this unusual offering shared how she discovered this whisky nestled amidst all the wine in France. As in AWA was the ONLY whisky to be found amongst a LOT of wine! Apparently there are other varieties of AWA – linked to different wines like Reisling, Gewurztraminer, Pinot Gris and this Pinot Noire. Plus someone clearly has a sense of humour with AWA’s “The Dog’s Bullocks” whisky! So… what did we find? There is a playful quality to this whisky. Sophisticated? Nope. Just fruity fun! Perhaps it was our imagination but we certainly found the wine influence which made it quite a departure from your standard ex-bourbon / ex-sherry cask fare. Overall this surprise from a Whisky Lady’s trip to France received a ‘thumbs up’ just for being… rather.. well like-able! When we contrasted tasting this whisky in our standard Glencairn glass vs Norlan, we found in the Norlan it flattened the nose to brown sugar however brought much more out in the palate – much spicier with cloves, quite a delicious piquant quality. The verdict? Comes across more like “whisky” in the Norlan than the Glenairn glass. So all depends on how you like your tipple. 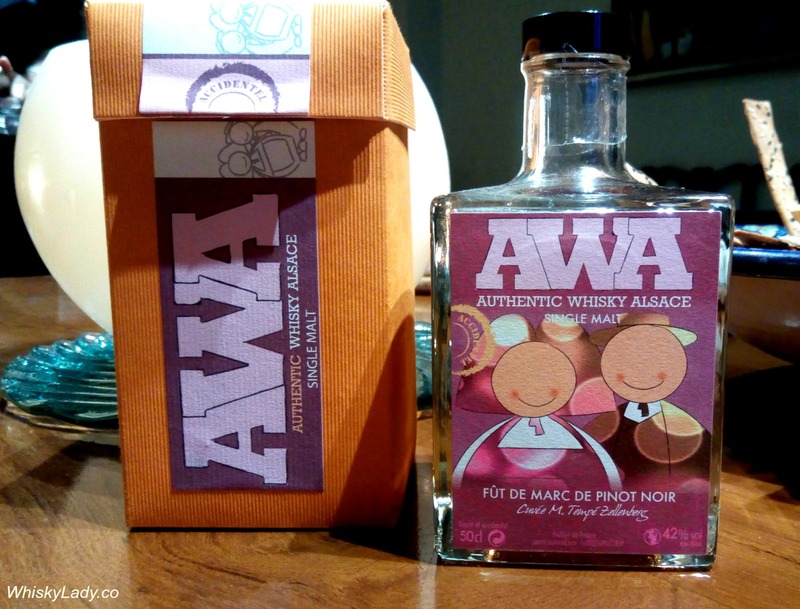 You won’t find much about AWA however… try as I might no luck finding any official tasting notes! If anyone does – let me know! Our whisky ladies evening began with a decided romance spun atmosphere by candlelight… thanks to a rather more mundane reason – the road was being dug up in front our host’s home! Yet starting the evening with a soft glow was rather apt for the 1st sample – a French Single Malt Brenne Estate Cask. Brenne is one of those whiskies I’ve been curious to try for some time. The brainchild of Allison Patel (The Whisky Woman) in partnership with a 3rd generation Cognac producer, she set about creating a ‘new’ whisky. For some, this style of whisky may be too sweet yet it somehow manages to be a desert whisky without slipping into that sickly sweet territory. Think of it like ice cream after a meal! In short it is a quite lovely whisky, pretty, delightful and something you could easily sip at the start or end of an evening. Rich and complex? Certainly not, but nonetheless quite enjoyable! We wondered how the notes might change between our standard Glencairn glass and Norlan… with the Norlan, there was more flower than bubblegum and on the palate a very clear apple cognac with whisky cream. Little change in the finish. We then wondered how it might be if chilled so put a glass of Brenne in the fridge. The verdict? Don’t! Cold it simply became syrupy sweet stepping clearly onto the side of being TOOOOO sweet and loosing all its lovely nuance. 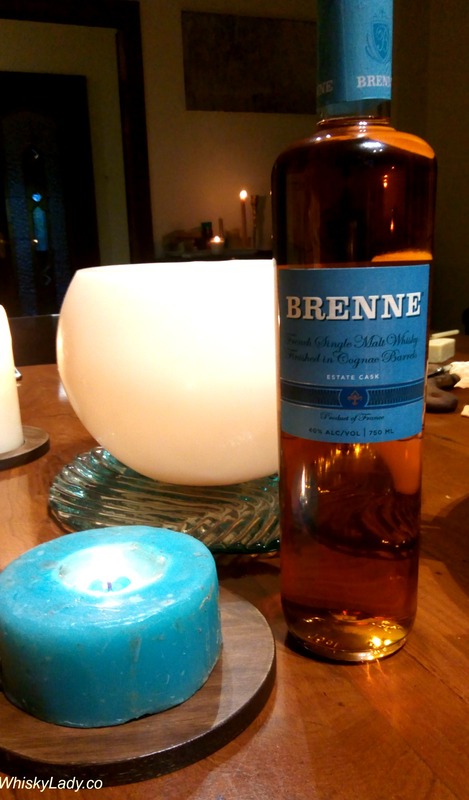 Brenne is produced in the Cognac region, initially aged in new Limousin oak barrels then finished in used Cognac casks – on average for approximately 7 years. The distilling technique follows the “Cognac” style, using colder fermentations and small batch production, then twice distilled in copper alembic still. As we understand, each Brenne is from a single cask so one can anticipate some variation between what you sip today vs another bottle from a different cask tomorrow.